For those travelling or working in Jamaica, it is advisable to adhere to the latest travel advice given by the British Government. British tourists have been told to stay in their resorts in Montego Bay, after the Jamaican government declared a state of emergency in St James parish on 18 January. Authorities also have imposed a curfew in other parts of St. Catherine parish located just west of the capital of Kingston. Under the state of emergency, soldiers have been deployed to the streets as part of a military operation against crime and vehicles coming in and out of the areas are being searched. The curfew was imposed following a surge in violent crime. 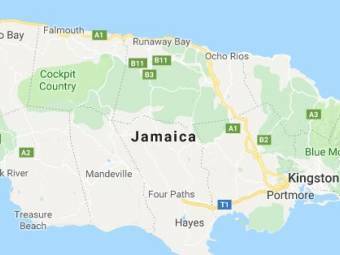 Police said Friday they will take a zero tolerance approach to crime in the parish of St. James, where Montego Bay is located, and nearby communities that have seen an increase in killings that officials blame on gangs and lottery scams. Police said businesses and recreational areas are under a temporary curfew, and the state of emergency allows them to search areas without a warrant. RPS Partnership advises you to stay in your hotel and listen to local advice and local news before thinking about venturing out. Contact Cath Mossom, RPS Partnership's Head of Training, for more details info@rpspartenrship.com and to reserve your place.